I was on the way home to California from a business trip in London. Why not a stopover in Israel for 72 hours? As if by an unseen hand, I was led out of my well-worn hotel room, here in the mountains of Galilee, and down the switchbacks to this holiest of places in this holiest of cities, Tsfat, the light-blue-painted (same color as the Israeli flag and my eyes) city of the Holy Spirit. And right before me is Yitzak Luria‘s Mikveh (purification pool). I feel like Indiana Jones, except there is no khaki or wide-brimmed hat…I am as naked as the day I was born, no barrier, coram Deo. Even my watch and wedding ring have been taken off. Just me. Just God. Just now. I think back over the last 48 hours here in Galilee. Rabbis pointing through the texts of “secret books” in Hebrew and asking questions…. 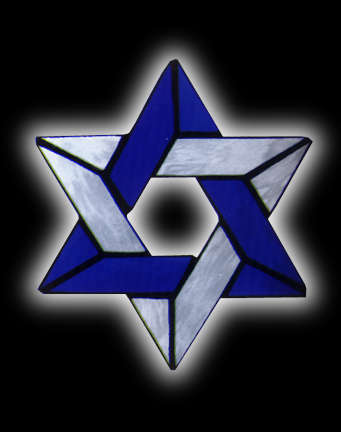 How did you learn Hebrew? Where do you sense the presence of God here in Tsfat? Where is that feeling the strongest? I slide into the biting cold of the fresh spring water, holding the pole and stepping down the ancient steps. I breathe deeply and submerge…. I pull my knees up against my chest, going fetal in this small womb-tomb of chilly spring water. An avid surfer, I am used to being underwater and I gently roll backwards…. I come up for air twice and submerge again. The glow returns, and I feel enveloped in the Khesed-love of the Creator. Answers come to me faster than I can receive them. I generate a will to receive. Something shifts around me. The third time under turns into a dream. I feel as if I am breathing underwater. The glow gets warm. All of my theological legalisms about “correct” baptism vanish and dissolve into an ocean of God’s presence. 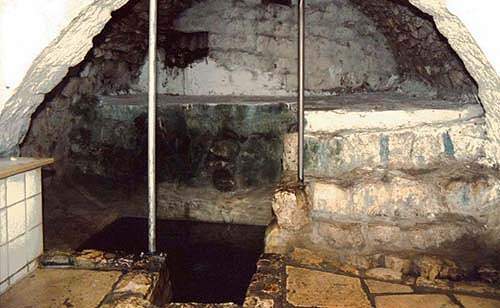 Where is your “mikveh” where you take off everything in the presence of God? When’s the last time you were there….? a mountain top experience NOW go and tell on the mountain and IN THE VALLEY- the waves will take it inland THIS LAND IS MY LAND this LAND is YOUR LAND from the ……………………..
-How did you learn Hebrew? -Where do you sense the presence of God here in Tsfat? -Where is that feeling the strongest? My whole life went thru a pinhole on that trip. What a poetic beautiful description of an inexplicable and awesome experience. So real it is imprinted on your soul. Still sorting it out after two years. Yo said you are still sorting it out after two years…..you may spend many many years trying to sort it out. Maybe don’t try, just accept the mystery and the awe! I had an experience during a worship conference in 1995 at the Anaheim Vineyard that I can’t forget, nor do I ever want to. Out of body experience, caught in a mighty river of God–knocked down with the rushing water, another dimension of reality. Tried to figure it out for a very long time, but now just remembering it very vividly and am grateful for that experience. Too wonderful to describe adequately.